American mink, Truckee River. Photo: Ron Marko. 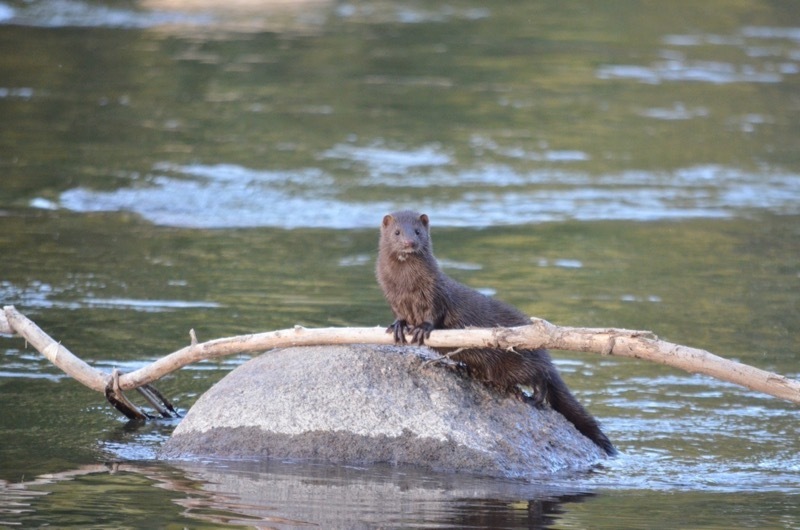 American mink are fun to watch any time of year, but during late June, the mink-watching gets even better: it’s time to start looking for mink babies! Baby mink are called “kits”, and are born in underground burrows between April and June, usually in litters of four. They’re blind at birth, and open their eyes after about 25 days. They begin hunting at about 8 weeks old. So, any kits that were born in April or early May would be out-and-about on the Truckee by now. 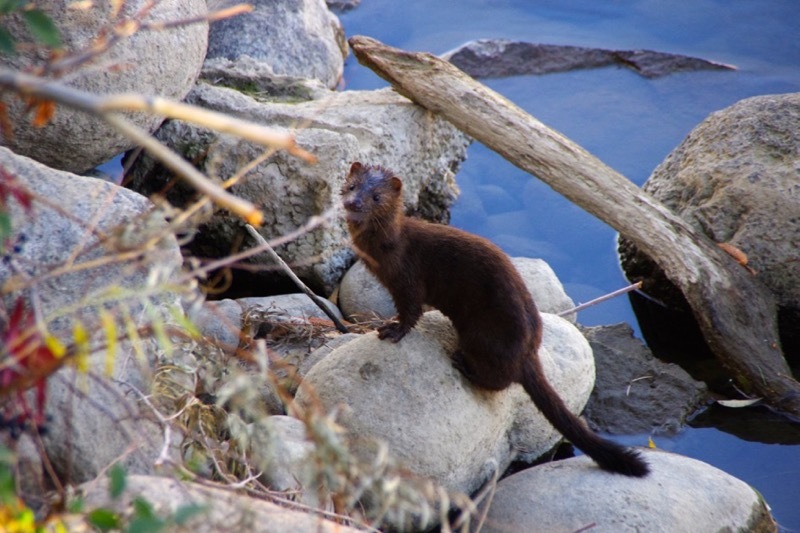 This week, Ron Marko shared some fantastic mink photos that he and Paul Quillici have taken along Idlewild Drive. 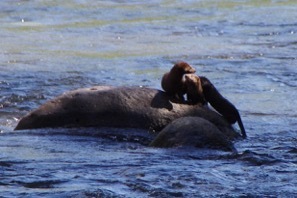 “Seeing the mink is one of our favorite things about living on the river,” says Ron, who says he sees them often. 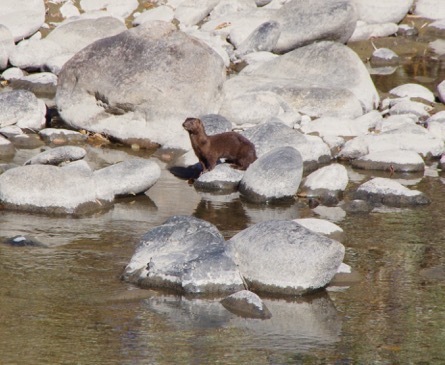 American mink, Truckee River. Photo: Paul Quillici. Want to see a mink? They seem to be fairly common along the Truckee River through downtown Reno, and have been one of the most frequently reported species to this site. So far, everyone that has reported seeing a mink has observed them between 6:30am – 2pm, or 6:30pm-9:50pm. I’ve had the best luck finding them in the morning (7-8:30am), but that’s probably just because that’s my favorite time to go for river-walks. The map below shows where other people have spotted mink along the Truckee, from Jan-June 2015. (To get to the clickable interactive wildlife map, click here). Thanks to Ron Marko and Paul Quillici for sending the great mink photos. If you see a mink, please share your photos and observations! Mink sightings, Jan – June 2015. Truckee River Guide.